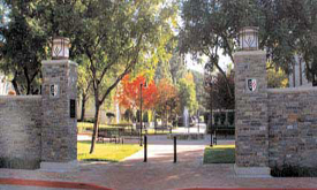 Claremont Graduate University (CGU) is located in the beautiful suburbs of Los Angeles, Southern California. It is one of the few American universities with an independent information science college, and produces the nation’s most number of information science doctoral graduates. The school constantly strives for cutting-edge scientific researches, and is America’s only college that provides part-time programs on information science. CGU is highly recognized in the States. Its school name readily suggests its focus on post-graduate studies. The management guru, Peter Drucker, was a professor teaching at Claremont before he passed away.